We provide a highly flexible ALM and DevOps integration and collaboration bus, combined with a unique rule-based engine that supports workflow and deployment rule creation at the right level of granularity. In addition, to support agility, visibility, and control, the tool supports rule versioning, rule change tracking, and extensive reporting and dashboarding capabilities. 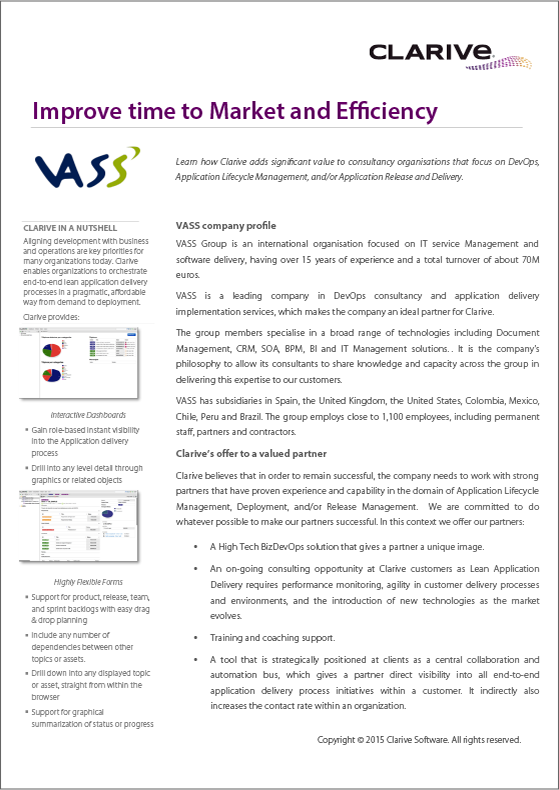 Thanks to the above, Clarive added significant value to VASS.